Spiced Pumpkin Muffins — What the Fruitcake?! ... with a Pecan Streusel topping. Also, served with a salted caramel sauce. Because, why not? It's been so long since I've done this I'm almost scared that I've forgotten how. You know, the wit and charm doesn't just happen, you have to be in the zone and when you're not regularly in the zone, well. You kinda forget. Why haven't I been blogging? What could possibly be more important? Lots, obviously. I've slowly been building up a side business, so my weekends and evenings are filled with creating recipes, taking photos and making food focused videos. This is great, obviously. It's a dream for most bloggers being able to move from hobby to pro, but it means WTF?! has been gathering dust. Now, don't think that just because I'm back with this recipe that there will miraculously be a steady stream of new posts. I'm going to make no such promise because I know what my schedule is looking like for the next couple of months, so I'd be daft to give you my word. I will say this. I really do miss blogging and I have a growing list of things that I want to write about. And, between you and me, I may have something in the works that will mean I can get a bit of balance back in my life which means freeing up some time to carry on providing you with hilarious narrative and delicious recipes. But, shhhh... That's all I'm saying about that for now. Step aside! I'm going in! So, with my cupcake toppers inspiring the Halloween theme, discovering that something called a "Queen Squash" is unbelievably sweet and delicious, and, being in the mood for warming spices now that the air has a bite to it, I went with something that, I'll admit, isn't mind-blowing as far as recipes go. I've taken different elements from various recipes and have married them together into one of the tastiest muffins you'll ever try. So says me. 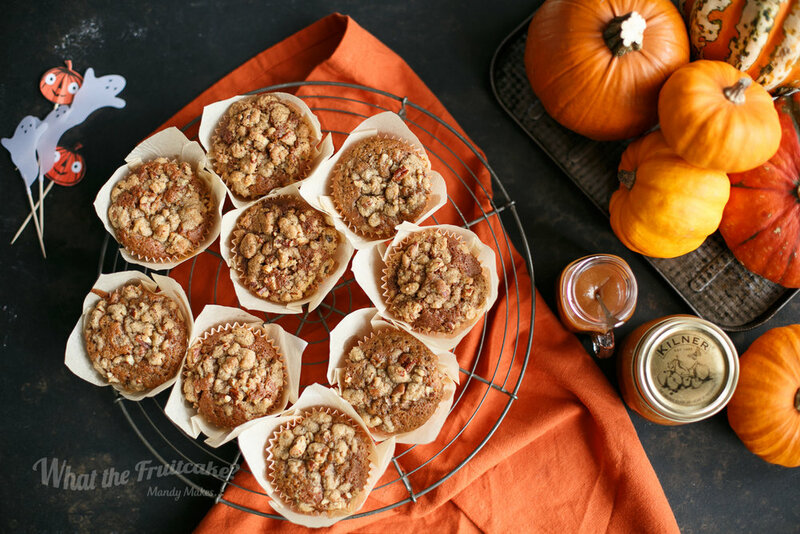 The muffin itself is my recipe for Spiced Pumpkin Bread and the streusel topping is adapted from my Banana Streusel Muffins. I've added pecan nuts in this variation 'cause I love them, and they always go well with spiced anything. I haven't included the recipe for the Salted Caramel Sauce because I always make the one from I Love Cooking, so head over there for the recipe. They've also got a video if you're a little nervous of the caramel making process. The spiced muffin is so tender and pillowy. That's not a word, but you get my meaning. Then there's the crunch of the streusel topping in contrast. YES PLEASE! If you've never made a streusel sprinkle, it's basically a cookie dough that, once baked, becomes a sweet and crunchy topping. Then the salted caramel sauce. Mmmmm. Well, it goes with almost everything. (I wouldn't recommend it on pizza. Just putting that out there...) I had considered making it regular caramel, but after tasting it, I found my hands reaching for the salt. Caramel sauce will never be the same again after some genius accidentally put salt in there thinking they'd thrown in more sugar. I'm just kidding, I have no idea how it came to be. I've been watching "The Gilmore Girls" so my brain is now thinking in random anecdotal madness. A friend at work said that these muffins are my best bake to date. Either I haven't been baking enough, or these are just that bloody delicious. I think it could be a combination of the two. I don't have kids so don't take my word for it, but I think they'd love these. And, as a bona fide adult (well, for the most part...) I think these are great with a piping hot cup of coffee. Even better yet while they're still slightly warm in the middle. And please, don't limit these to Halloween. If you have the luxury of getting your hands on squash and pumpkin all year round, or, if you have the canned variety, these muffins are always good. Although, I'll admit, probably best suited to colder weather. So, how'd I do? Can I still blog? I hope you enjoy these and happy baking! Here's hoping it's not another six months before the next post. 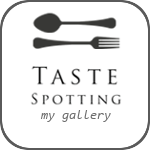 For the Salted Caramel Sauce, have a look at the recipe on I Love Cooking. I'd recommend making it ahead of time so that it's not molten hot. If it's a bit thick after cooling, nuke in the microwave on about 30% power for 10 second bursts just until soft enough to drizzle. Make sure to stir between each burst of heat. 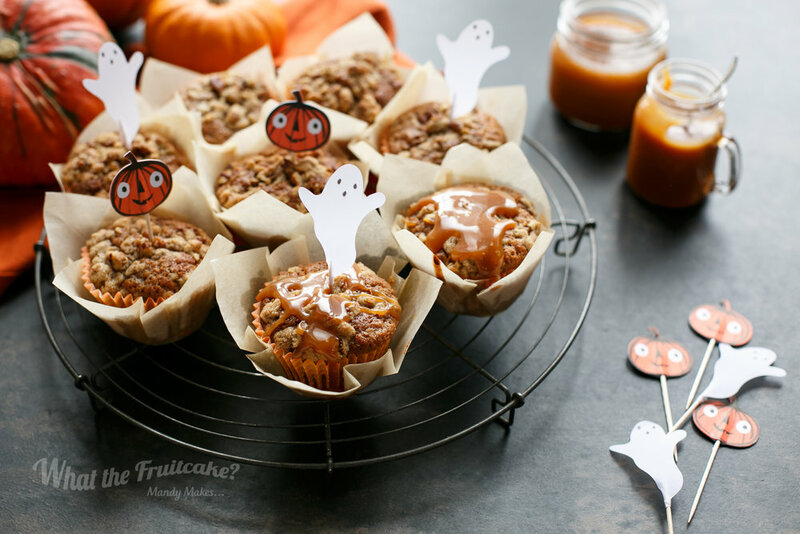 Posted on October 24, 2016 by Mandy Mortimer and tagged sweet Halloween Baked Muffins Pumpkin Pecan Caramel Sauce Spiced Treats.